Our annual Salvation Army fundraiser is upon us once again, and we’ve set out to show more support than ever! Help us support this great organization that has had such a positive effect on so many lives. The Salvation Army offers a wide variety of services, from family tracing to disaster response. They run a number of addiction rehabilitation programs that help addicts find and overcome the roots of their addiction. Other health services include maternal and child health, HIV/AIDS, TB, Nutrition, Diabetes, infectious diseases and others. The Salvation Army is also one of the largest social care providers in the world. During this giving season please consider reaching into your pocket and donating to this amazing cause. 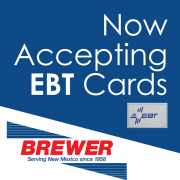 All donations collected by Brewer will be donated to local chapters in Roswell, Alamogordo, Albuquerque, Las Cruces and Santa Fe. Upon making your donation, please fill out the box explaining your favorite Brewer Location. 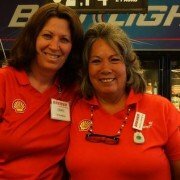 We will post your name in that store so you can be recognized within the community.